Neuroeconomics is an exciting new field that is beginning to attract attention around the globe. It’s a wonderful interdisciplinary study that combines the best of several subjects. If you are a student looking to be on the cutting edge, neuroeconomics is a great subject to consider. If you’re looking to learn online about this cutting-edge subject, we’ve selected five top options with which to start. Some of these selections are more academic and some are more career-oriented, but all of them are exciting and sure to whet your appetite for more. Coursera's "An Introduction to Consumer Neuroscience & Neuromarketing"
ADUCBA's "Marketing Psychology Training Course"
Alison's ​"Applied Psychology - Introduction to Consumer Behavior"
"An Introduction to Consumer Neuroscience & Neuromarketing"
"Applied Psychology - Introduction to Consumer Behavior"
Here we have selected the five best choices for online classes in the field of neuroeconomics. We have considered cost, student experience, and professorial ability when choosing these for you. 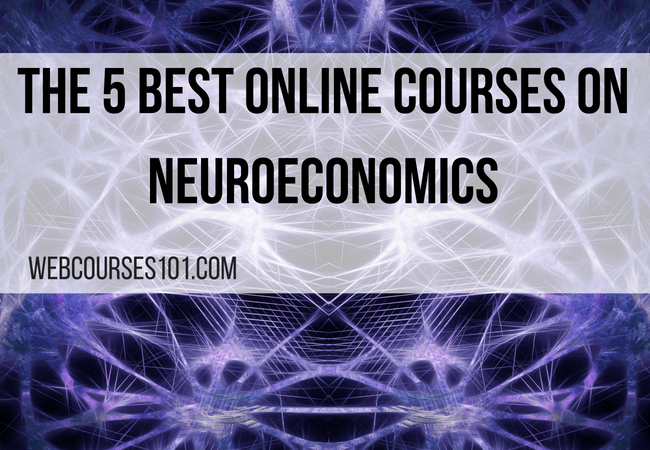 This is probably the most popular online course in neuroeconomics on the internet, and it’s easy to see why. The course is very highly-ranked on Coursera with a rating of 4.5/5. Plus, it’s perfect for the beginner. There are no prerequisites required to succeed, and the professor is ranked very highly. This is a nine-week course that will involve videos, reading, and a final exam. The professor is Dr. Vasily Klucharev, who is a professor and department head of psychology at the National Research University - Higher School of Economics. The school is located in Russia, but the actual course is in English. You will not be able to access the whole course for free, but you can view some lectures if you like. If you decide that you wish to take the whole course, you can apply for financial aid if you can’t afford the whole cost of the course. Upon completion of the course you will get a Course Certificate. This is a very highly-ranked neuroeconomics course that is extremely accessible. It is also entirely self-paced, meaning that if you need more or less time to finish the course that’s perfectly allowable. If you want something flexible and interesting that you can complete from the comfort of your own home, this is a great option. This course, also offered through Coursera, is a wonderful exploration of Neuroscience and Neuromarketing (both of which are part of neuroeconomics) when applied to consumers. It studies the decision-making processes of average consumers and speculates which components are unconscious and which ones are controlled. This course is also fine for beginners, though having prior knowledge in psychology or economics is recommended. The professor is Thomas Zoëga Ramsøy, who is the Head of the Center for Decision Neuroscience. The program is offered through Copenhagen Business School in Denmark. Copenhagen Business School is one of the largest business schools in Europe. Despite the fact that the program is out of Denmark, the program is in English. It will require a total of six weeks of study and is estimated to take a learner between five to six hours per week, depending on their prior felicity in disciplines like psychology or economics. This course deals with one of the most popular subsets of neuroeconomics: marketing psychology. Again, the ultimate study of neuroeconomics centers upon how economics impacts decision making and the mind, so the study of marketing psychology is very important. While scientists proffer that several of the brain’s decision-making processes are unconscious, that doesn’t mean that the external world doesn’t impact the unconscious mind. The field of marketing psychology is a little newer. It was originally pioneered in the 1940s when a man named John Watson used psychology to help the famous Johnson & Johnson market baby powder successfully to moms. In this case, Watson used a mother’s love for her child as the focus. Another great example of marketing psychology is DeBeers’ push to get diamond rings accepted as a “tradition” when a man asks to marry a woman. That wasn’t a tradition at all until DeBeers cleverly equated love and money. This course is an introduction to marketing psychology. You can start the course at any time and it is self-paced. After the course is completed, you will have a certificate in marketing psychology, which is valued in many job fields. This course is less academic than the prior two, so you may be able to better use it to leverage your career prospects if you are interested in the psychology behind marketing. This is also a much shorter course. It consists of about four and a half hours of videos. You may even be able to complete it in a day. ​"Applied Psychology - Introduction to Consumer Behavior"
This is another course that focuses on the psychological angle of neuroeconomics and decision-making. Applied psychology is a specific branch of psychology that focuses on how theory applies to real-life processes. In this case, it applies to how consumers act and react in a market. In particular, this is great for a person who is interested in a marketing career as it covers how consumers are likely to respond to marketing overtures. At the end of the course the learner will be able to talk comprehensively about consumer behavior and the many things that influence it. This course gets extremely high marks on the Alison website of 5/5. Plus, it doesn’t take that long to complete. Most students are finished with the course in four or five hours. At the end of the course, students will receive a certificate. ​This course with another neuroscience angle also comes through Coursera. Readers may be interested to know that this course is through the very well-known Duke University in North Carolina and is taught by Emma Rasiel. She is the associate chair and professor of Duke’s Economic department. One of the cornerstone “traditional” disciplines of neuroeconomics is, of course, basic economics. This course combines the best of economics and psychology. Namely, it focuses on “heuristics,” or general guidelines that most of us follow in our everyday lives so we can make consistent decisions. A good example of an economic heuristic is the decision to tip the waiter/waitress at the end of every restaurant meal. However, while that might be a common heuristic in the US. It’s not necessarily common in the rest of the world where waitstaff don’t work for tips. Thus, it’s possible for a visitor from abroad to come to the US and make a faux pas by not tipping the waitstaff. Even though he’s following his own “rule of thumb” from back home. This course is concerned with the business of heuristics and how they end up guiding decisions both rightly and wrongly. Another common strange economic decision that many people make is to sell investments that are performing well while holding on to investments that are doing poorly. There are several ways that our brain processes may guide us incorrectly. This course is in English, but it does offer Portuguese subtitles. It is a three-week course and is rated at a 4.6/5 on Coursera’s site. Like the other Coursera courses, there is no free trial, but there is some course content available for free. Financial aid is available for those who need it to access the entire course. Please keep in mind that though this course is offered by a professor who works at Duke. You will not be eligible for a transcript from Duke. Neuroeconomics is, at its core, an attempt to better understand human decision-making. While most of us are familiar with so-called “game theory,” most of us are also probably aware that real decision-making is much more complex than this. On an individual level some of us find making some decisions easy and others and some difficult. However, most of us don’t think about the process our brains are required to go through to come to that final decision. Neuroeconomics studies this process through the lens of economic decision-making. It also studies the impact of economics on the decisions that your brain makes. It is a combination of several different sciences, for instance economics, psychology, and neuroscience. Mathematics, biology, and computer science are also involved. If you’re a person with many scientific interests, this is a wonderful field to check out. The study is mostly centered on humans, but also focuses on that of other animals as well. This is to get a fuller understanding of what aspects of human decision-making are guided by instinct, and which ones are guided more by specific social psychology. While this is a relatively new field, it offers many intriguing options for study and research in several areas. Thus, it’s a good choice for somebody who has interest in all of these areas but is primarily interested in social psychology. It would also work for a student who has a primary interest in mathematics. There are many angles to be explored in neuroeconomics. The decision to study neuroeconomics is, in fact, an actual example of neuroeconomics itself. To borrow some psychological language, it depends on how risk-averse you are. It’s a very exciting new field with lots of study opportunities and potential for great discovery and advancement. If you’ve ever wanted to study on the cutting edge, this is a wonderful field in which to do so. However, because it’s so new and not accepted as a “traditional” science, you may have a more difficult time getting into funded research projects where neuroeconomics is concerned. If you want to play it safe but still venture into this area of study, you could pick a more “traditional” focus that branches into neuroeconomics, like evolutionary biology or clinical psychology or computer science, then you could lend your focus on neuroeconomics. It all depends on how interested you are in the discipline and how much risk you wish to take in your academic endeavors. If you’re just looking to check out the field, an online course is a great way to get an overview of the subject from the comfort of home. Then you’ll be better-armed with knowledge and can decide if it’s something you’d like to pursue further. Taking an online course is a good idea for many reasons. First, many online courses are taught by tried-and-true professors who know their field and are able to offer their expertise for much cheaper online as compared to through a traditional brick-and-mortar training center or university. Second, most online courses allow you to take your time and work through the course on your own schedule. You usually don’t have to be anywhere for a specific amount of time each week. Even online courses that have meetings will allow you to do them from home, rather than having to travel somewhere. Plus, since neuroscience in particular is a new field, you might not know how interested you are in it. An online course is a great way to get a sampling of this exciting discipline without spending the money on a full college-course devoted to it. We hope that you enjoy your foray into the new and revolutionary field of neuroscience. This interdisciplinary study is sure to open new pathways into understanding the human mind. 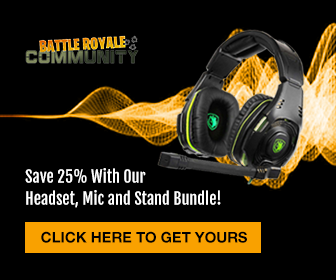 You’ll enjoy being at the forefront of it. Take the first step into neuroeconomics by registering for an online course today.